Ponds are a lot of fun, but they are not without occasional problems. 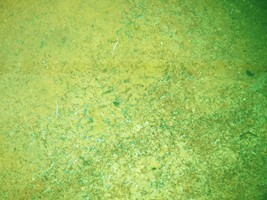 Pond algae is one of the most common problems associated with garden ponds. In severe cases, green algae will heavily tint the water giving the pond an unkept and “dirty” appearance. String algae is another type. As the name sounds, it has long fingers that can cover rocks, clog filters and can quickly get out of hand under the right circumstances. Remember, while a small amount of algae can actually be helpful and a sign of a healthy pond, it can quickly get out of balance. When that happens, the algae will need to be controlled. Unfortunately, algae will find your pond. It doesn’t matter if you are in the deserts of California or in the far Northeast. If you have a pond, it will start to produce algae sooner or later and can adversely affect your pond water quality. Algae are living plants and like all living plants need food and sunlight. Water garden ponds that are in full sun will have more problems than shaded ponds. Other causes for increase pond algae problems include poor circulation and high nutrient content in the water. Nutrients can be organic debris from uneaten fish food, rotting leaves and plant debris to excess fish excrement. Occasionally I have heard of people using dirt for plant soil instead of gravel or turface. (Turface is heat-treated clay that is used as soil in fish tanks and small ponds as well as soil amendments for lawn to sports stadiums.) A sometimes overlook source of rapid pond algae growth is lawn fertilizer that accidentally lands in the pond. Just as fertilizer feeds the grass, it will do the same thing to organic life in the pond. You probably know that ponds need to be aerated. A lack of oxygen can cause stagnation problems. Oxygen can be supplied via a waterfall, pond fountain, garden pond pump, and oxygenating plants. Stagnant water can cause problems, especially with algae species that grow well in low oxygen conditions. The end result is often a very foul odor. All pond life suffers in low oxygen. If you have fish they may be seen gasping at the surface. This is a sign of seriously low oxygen levels. If you don’t have a pump and aeration system, use a water hose to spray a jet stream into the pond. This will instantly add needed oxygen. Then look into a type of aeration and filter system. You will be glad you did and it will make your pond more enjoyable. If you live in a windy area, a free source of power is a garden windmill. You can buy a motor designed to attack to these windmills with an air tube that can extend down to the bottom of the pond. You have instant electricity free bubbles that can supply oxygen to the pond. The photo at the right shows a 12 ft windmill, but comes in sizes from 8 ft. and extending to 20 ft. tall. That is an impressive height for a garden pond windmill and it will supply a lot of oxygen on windy days. For frequent pond algae problems, the cause should be researched and the problem fixed or you will continue to struggle with algae blooms and other conditions. First, make sure the pumps are working and filters are clean. Moving water is water that is circulated by a pump and should be passed through a filter. The right filter will greatly reduce pond algae. The use of a bio-filter is important. It doesn’t have to be expensive and you can make one yourself if you choose. Also, brushing the sides of the pond is easy, especially with preformed pond liners, but it will cause the pond to cloud up quickly. However, it will settle or filter out in a short amount of time. For string algae, the majority can be removed by hand. A forked paddle or something similar to that can be used in a way similar to twirling spaghetti around a fork. Pond type ultraviolet lights are considered one of the best ways to keep your pond clear of algae. There are two basic types. UV Clarifiers and UV Sterilizers are tube shaped devices that can be easily attached to the pond intake tubing that leads to the pump. These devices allow water to pass through a circular ultraviolet light that instantly kills the majority of floating algae and many floating microorganisms. For best results, there should be a prefilter to collect large debris before it gets to the UV device. It continuously kills algae as long as the UV light is on and the water pump is operating. You can find the right size device based on the gallon per minute capacity of your pump. Since algae needs sunlight, shading the surface will help tremendously. Many city water gardens are so large that they will often use a pond dye to tint the water. These dyes block out a lot of the sun’s rays which reduce pond algae growth, but do not harm fish or plants. They are also available for home use as well. Building backyard ponds in a shaded area or positioning water plants so they shade the pond will improve water conditions. Barley straw is a product that is sold commercially for ponds. It is not completely understood how it works, but it does work to keep pond algae down. The straw is placed in a net bag along with a flotation device to keep it on the surface. It must begin to breakdown and degrade before it will work. As it decomposes, it releases enzymes and particles that hinder algae growth. However, fresh barley straw can take anywhere from several days to weeks to decompose enough to start working. Hot weather accelerates decomposition. An alternative to barley straw is barley straw extract. Barley straw extract is a liquid that is poured directly into the pond and begins working immediately. It has the same effect on algae as the straw does without the waiting period or the bag of straw floating on the surface. Keep in mind that barley straw and barley straw extract does not actually kill existing algae. It only keeps algae from increasing and becoming a problem. It is an important maintenance technique that works best when added to a clean pond. It should decrease pond maintenance, while holding down pond algae. As a last resort for controlling algae you can use chemicals. There are many types on the market, but Green Clean and Green Clean Pro are excellent algaecides. There are also a number of pond water conditioners and water clarifiers. Clarifiers do not kill algae, but it causes the small particles in the water to stick together and then sink to the bottom or filter out more easily. All these products when used properly are very safe and effective. Read the label carefully and use according to instructions. Most algaecides work rapidly as they circulate through the pond. Do not forget about this important maintenance step. It is essential to occasionally drain 25 percent of the water out of the pond and then refill it with clean water as part of regular pond maintenance. This removes 25 percent of old water, floating green and blue algae as well as nutrients that feed algae. Fresh water is then added, diluting the water that remains. This should be done on occasion even if the water appears clean. If you have fish in the pond and your home water is chlorinated, you will need to use a de-chlorinator. De-chlorinating liquids can be poured directly into the water to remove all the chlorine. For small ponds, some people fill a 55 gallon rain barrel with a hose and then pour it into the pond the next day. By that time the chlorine will have dissipated and there will be no need for a de-chlorinator. Winter can bring severe cold to some parts of the country. Learn important tips for keeping your koi or other fish safe all winter.